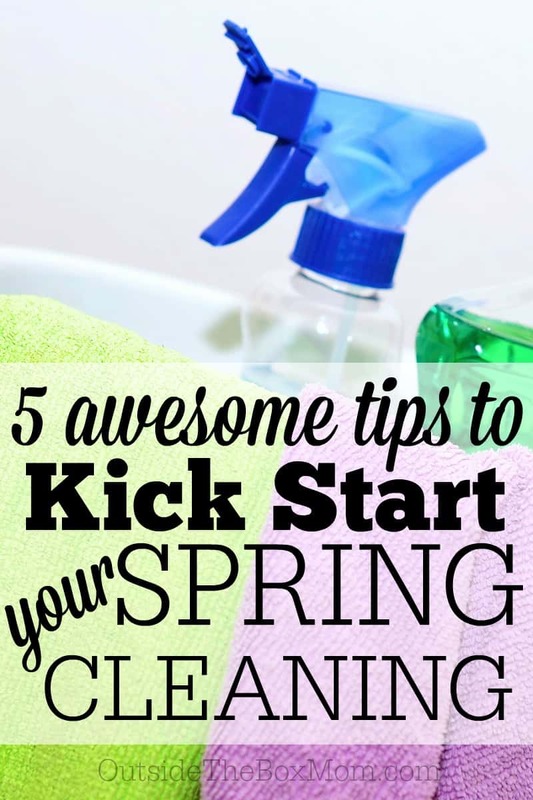 5 Tips to Kick Start Your Spring Cleaning - Working Mom Blog | Outside the Box Mom a thorough cleaning of a house or room, typically undertaken in spring.” There are few things that bring the same satisfaction as a thorough and well-planned spring cleaning. To me, spring cleaning is one of the best ways to welcome in the new season. I always approach spring cleaning with an eager attitude. I’m most excited about redecorating and revamping after a thorough cleaning. I love giving my home a new look and what better time to do this than spring? Having a system in place is the best way to go about spring cleaning. What I like to do is assign a task for every day of the week. For example, Monday’s task would be decluttering, Tuesday’s would be dusting, and so on. I always keep decorating as my last task, ensuring that that everything is in it’s right place before being made pretty. I like to use pillows and throws to change the mood after cleaning the living room. Collecting and keeping fabrics and linens to reuse and upcycle and then changing them out seasonally is a good way to change the mood without having to spend money each year achieving new looks. Having an organized closet is an step to having an organized home. Think about it: if you open your closet first thing in the morning only to clutter and disorganization, frantically searching for a particular item, chances are your day won’t be off to a great start. I’ve found that organizing out my clothes and throwing away old and unwanted items is a great start to organizing my closet. A clean bathroom is a must. If you have a small bathroom like I do, then you probably face the same problems of lack of storage space. I’ve learned that using empty wall space is a great alternative to storage cabinets. If you have a few dollars to spare, you can buy an over the toilet organizing rack, storage containers for the linen closet, and an organizer to use under the sink. If you don’t have a budget for this project, you can repurpose steel cans covered in decorative paper as towel organizers, (plus, this will cost you so much less). While rearranging books, it is more aesthetically pleasing to keep some books horizontal and some vertical. This helps break up the monotony of large bookshelves, creating appealing spaces that will give your room an airy and open feel. Also, take this time to get rid of any titles you don’t want anymore by re-gifting them or donating them. I hope these five tips will help you on your spring cleaning journey. If you have other tips you’d like to share, tell me about them in the comments section below. Happy spring cleaning everyone! I just discovered your site because I was on The Glamorous Housewife. Your site is awesome!! Glad I found it today. What a cute idea for the bathroom! Very helpful tips Raki! Much needed cleaning tips! What are your favorite bathroom cleaning products?